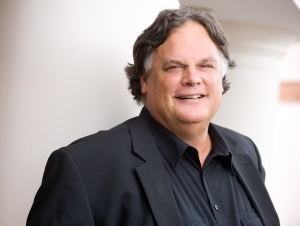 University of North Carolina professor Gene Nichol will speak on “outside political interference with academic freedom and university-based freedom of speech” when he delivers the 28th annual Davis, Markert, and Nickerson Academic Freedom Lecture. The talk, “Academic Freedom, New Politics, Old School Censorship, and Meaningful Constitutional Review,” will take place at 4 p.m. Nov. 28 in Hutchins Hall. Nichol is the Boyd Tinsley Distinguished Professor of Law at UNC…. Nichol said that in his lecture he will explore state interference with research, publication and inquiry designed to explore or challenge the efficacy of government programs and practices. Presented by the Faculty Senate, the annual lecture is named for three former U-M faculty members — Chandler Davis, Clement Markert and Mark Nickerson — who invoked their constitutional rights when called to testify before a panel of the House Un-American Activities Committee in 1954. All three were suspended from U-M. Markert subsequently was reinstated, and Davis and Nickerson were dismissed. “(The lecture) is an important reminder that we can’t take academic freedom for granted, that we need to keep it top of mind and make sure the faculty are aware that this is a right that needs to be attended to, preserved, protected,” said Joy Beatty, vice chair of the Faculty Senate, Senate Assembly and Senate Advisory Committee on University Affairs. And, of course, Nichol will be back in town next week to speak — albeit at an event of somewhat less illustrious stature — a December 6 NC Policy Watch Crucial Conversation in Raleigh. Gene will be in town to promote his new book, The Faces of Poverty: Stories From Our Invisible Citizens . Click here for more information and to register for the event– seats are going fast!